Find your place at Harris. Mentoring: Each new employee is teamed with a more experienced member of the firm who helps guide them and expand their skills. CPA Exam assistance: Employees receive financial assistance to help with costs related to the exam and are reimbursed for the exam fee upon successful completion. On-the-job training: We offer annual CPE credits, in-house weekly group trainings, and trade group-specific trainings. Memberships: Harris pays for professional dues, license fees, and subscriptions for many financial and industry associations. Tax season “perks”: One paid vacation day during tax season, paid day off on April 16, and weekly stress busters. We also offer fully paid medical, 401(k) contributions, 4 weeks of vacation. Harris actively supports our employees to help them realize their short-term and long-term career goals. We have programs in place to help all employees reach their professional goals at all stages of their professional career. Each employee of the firm participates in a formal mentoring program. The employees are teamed with a more experienced member of the firm who helps guide and acts as sounding board for career development opportunities. Our mentoring program provides positive outcomes for both the employee and mentor through the expansion of knowledge, skill, energy, and creativity. Passing the CPA exam requires significant time and financial commitments and is a crucial step in our staff’s career development. As such, we have an assistance program to help with the related costs, to make this goal a reality. Study materials are provided to members of the firm. In addition, the firm has a reimbursement program for successful completion of the exam. Harris also supports the development of its employees by offering annual CPE credits (Continued Professional Education credits required to be a CPA), in-house weekly group trainings and trade group specific trainings to meet their professional development goals. Harris pays for professional dues, license fees, and subscriptions for most association our employees are a part of. Tax Season can be grueling. The days are long, and Harris makes sure to give its employees a mental break. Each week, we have "Fun Friday" where for 30 minutes, we all stop what we are doing and join in on a game to clear our minds. We also provide pizza every Wednesday for those that are working late. Each staff member is given a "Wellness Day" during tax season: one day that they get to unplug, rejuvenate and spend time with their family. We celebrate the tax deadline on March 15th with a lunch at the office, have pie on pi day (March 14th). On April 15th, we close the office at noon and take the staff out to a nice lunch before we all head to home to be with our families and enjoy the 16th as a paid holiday. After tax season, the benefits continue. Once a month outside of tax season, we all gather for a barbecue. And lastly, we bring our significant others and families together twice a year for our Christmas Party and Summer Outing. Harris is a great place to work. Don’t take our word for it. 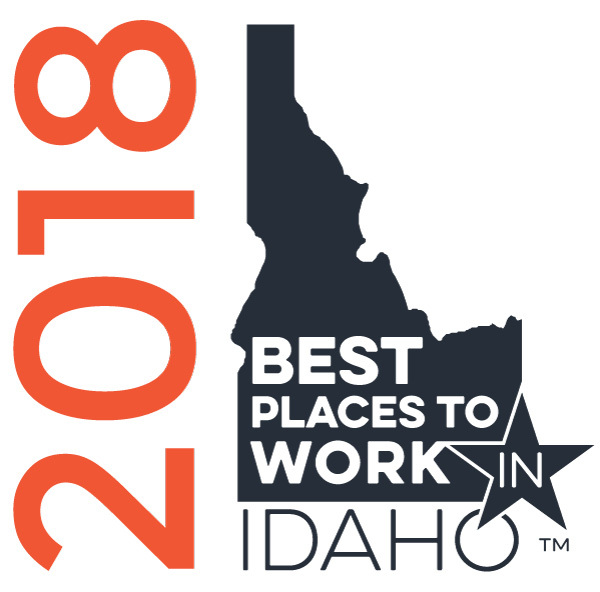 This year, we were once again recognized as a Best Place to Work in Idaho for our efforts to actively help employees reach their goals.